This spectacular tour is breathtaking—literally—with 296 steps and no elevator. 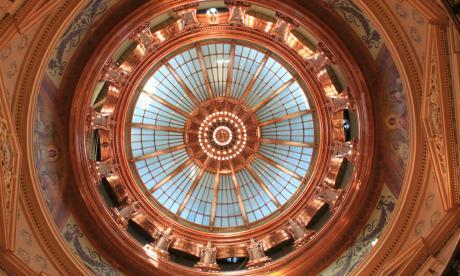 The Kansas Statehouse is the only U.S. capitol building where the public can go to the top of cupola and step outside. 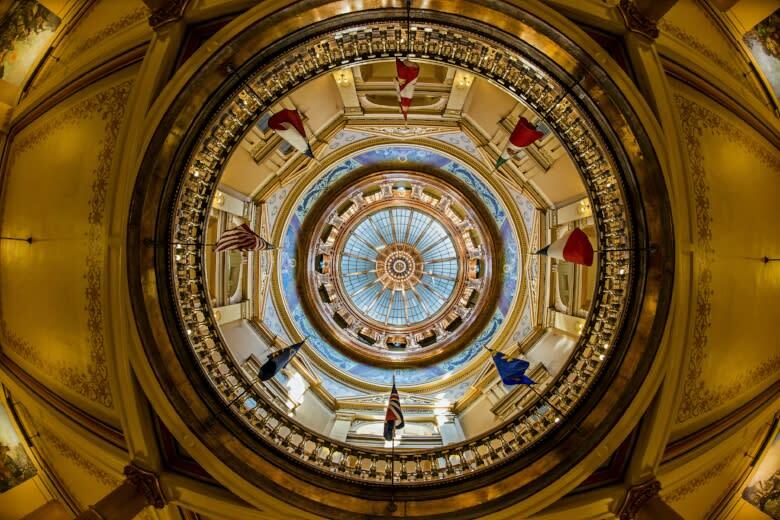 The dome tour starts on the fifth floor and explores the area between the inner dome, which is what is visible inside the capitol, and the outer dome, which can be seen from outside the building. Connecting the two domes are a series of stairs and landings that offer an unparalleled look at the elaborate architecture with close up views of the inner and outer domes. 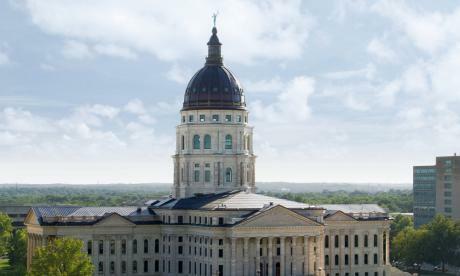 After climbing the 296 steps to the top of the dome, step outside onto the cupola balcony and take in an amazing view from the highest point in Topeka. 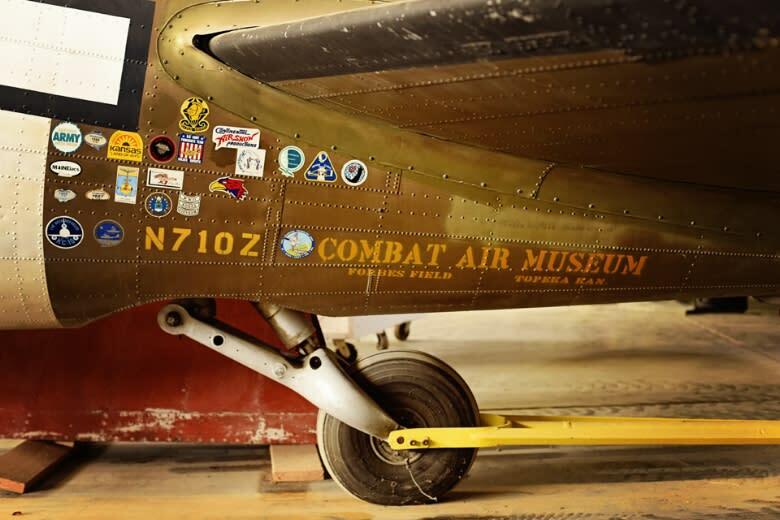 The Combat Air Museum offers a whole new experience on how you can see an aircraft. You can look inside, touch and view more than 30 aircraft from WWI to present day. 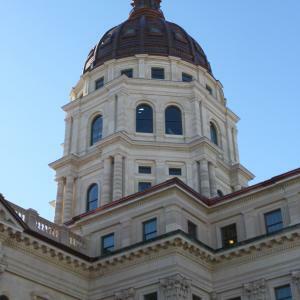 After you have toured the museum you can fly the Topeka sky on the simulation airplane. 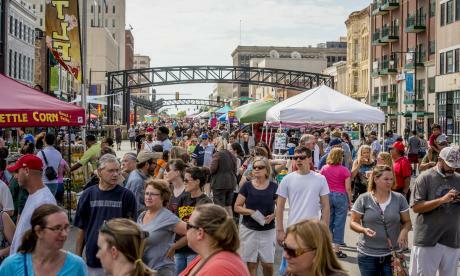 Topeka is full of sports action all year! Catch the heart pounding excitement at The Kansas Expocentre, home of the Topeka RoadRunners hockey team and Kansas Koyotes professional indoor football team. Watch cars speed by at Heartland Park Topeka, one of the world’s fastest tracks. If hard-hitting combine with strength, speed, and agility is more your style check out the Capital City Crushers flat track roller derby team at Sk8away. Show your spirit at Hummer Sports Park, the crown jewel of family entertainment facilities for high school athletics featuring swimming, football, baseball, softball, soccer, track & field. Cheer on the Ichabod’s at Washburn University during one of their many men and women’s sporting events. 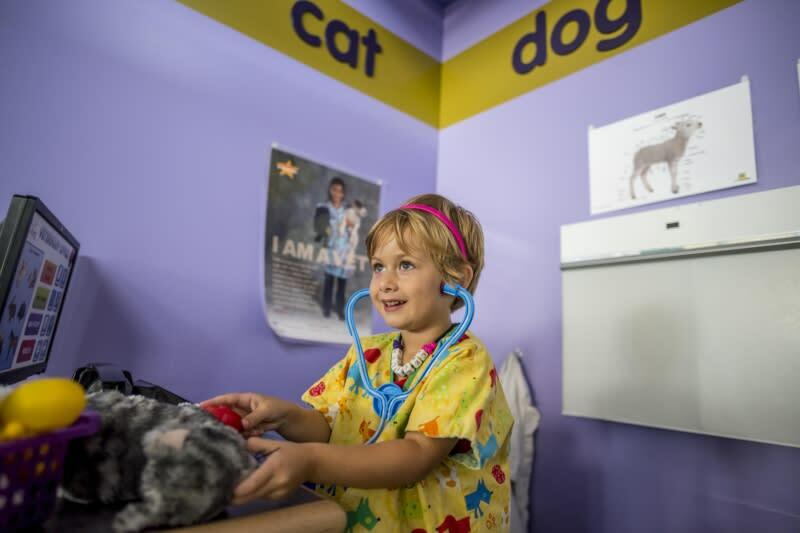 Get your mind working and your hearts enjoying the fun at the Kansas Children’s Discovery Center. 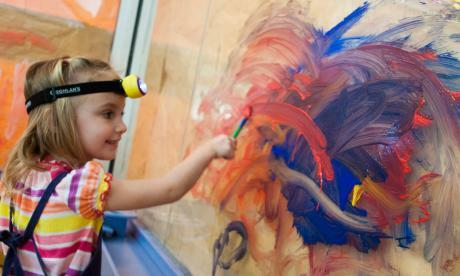 You will learn from interactive exhibits such as the art gallery where you can experiment with paint, rainbows, light, and mobiles. Construct towers, bridges and architectural masterpieces while creating pathways for algebra and geometry in the build gallery. Work as a team in the careers gallery where exploring options for the future is fun! The galleries don’t end there you can also explore the grain gallery, moneyville, science gallery, little sprouts and grow area. Take the adventure outdoors to the hiking trails, vegetable garden, flower and butterfly garden, tree house and excavating in the paleontology dig. Taste a delicious treat at G’s Frozen Custard where you can always expect fresh custard and friendly service. Reviews rave that G’s is the place to get frozen custard in Topeka. This locally owned spot is known for its creative flavors and popular brown bread custard. Ice cream not your thing? 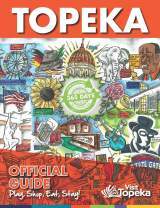 Check out Topeka’s other local sweets shops. 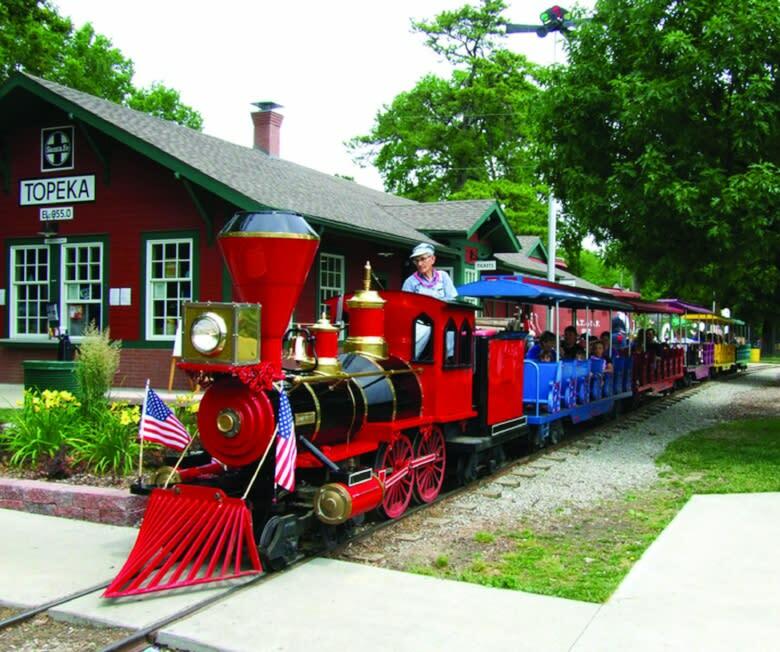 Relive old memories and create new ones on the historic carousel and mini-train at Gage Park. The mini-train has been an integral part of the sights and sounds of Gage Park for over 45 years. Follow a mile-long scenic course through the heart of the park, as the engineer enlightens you on the history of Gage Park. Pick your favorite animal on the grand old carousel. Built in 1908, the carousel houses a Wurlitzer-style band organ that plays during your ride. 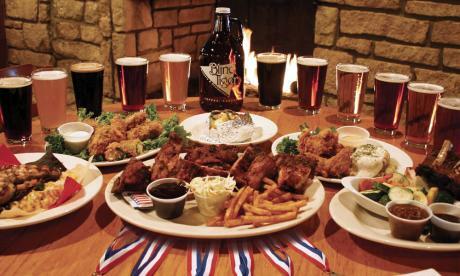 Get Crafty with your food at College Hill Pizza Pub or Pizza Pub at Westridge Mall*. Your personal pizza can be created from over 50 toppings and sauces. The friendly staff at Pizza Pub is never short on suggestions so if you are unsure of how creative you want to be ask them for some ideas. Both Pizza Pub locations are Gluten Free and Vegan friendly. 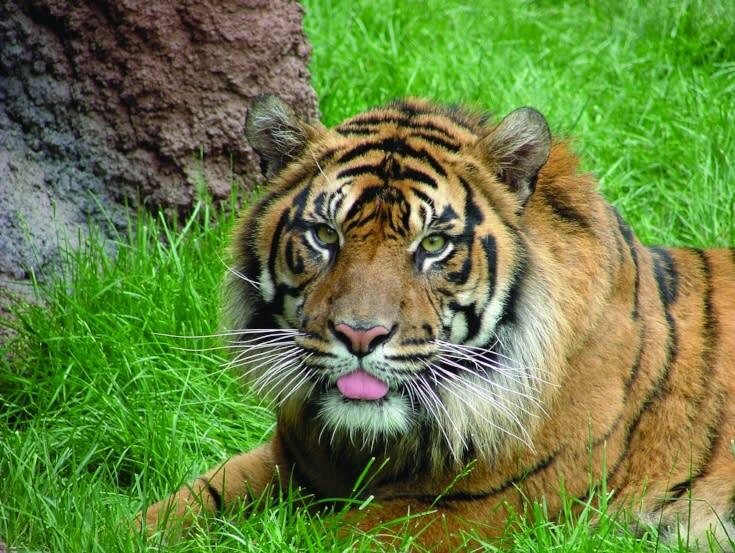 The Topeka Zoo & Conservation Center has a wild summer lined up! Learn about zoo life on the Wildlife Stage, take a weekend pony ride, and get up close and personal at the Predator Encounter. In addition to the wild extras at the zoo this summer you can enjoy your favorite parts of the zoo such as a trip through the Tropical Rain Forest, watching your favorite animals and petting friendly animals at the petting zoo. Swimming at the Shawnee North Family Aquatic Center is fun for everyone. 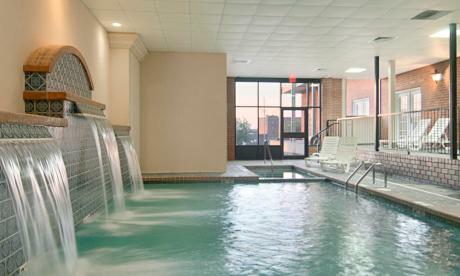 The lazy river is the perfect place to relax. Laugh as you rush down huge waterslides or play pretend on the pirate ship. Use the diving boards to cannonball, belly flop, or dive into the deep end. The aquatic center is fully equipped with concession stands, bathhouses and plenty of lawn chairs for soaking up some rays! History is made every day. 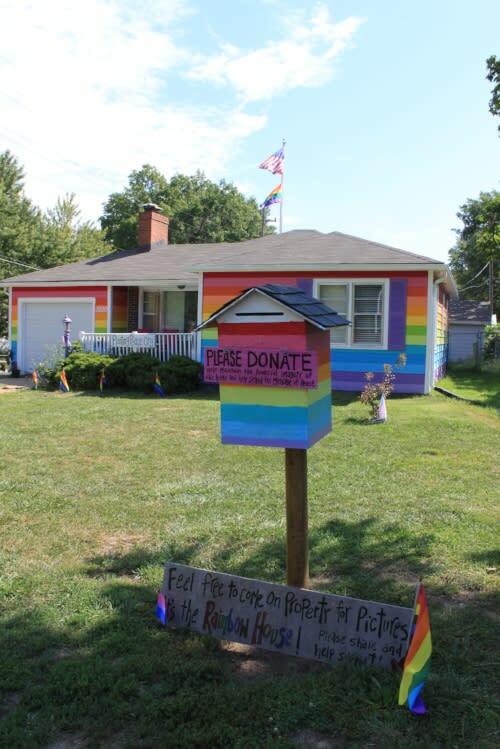 Explore how courageous Topekans have shaped our nation at Constitution Hall, the home of the Free State Kansas capitol, the Brown v. Board of Education National Historic Site, and the Equality House, an operations center for Planting Peace, which stands as a symbol of the progress toward equal rights for the LGBT community.